Editor's note: This story has been updated to include an additional comment from the governor's office. Although the governor’s office has made strides to foster diversity, the regents that oversee the state’s six largest public university systems are largely white, male, political donors and alumni of the institutions they govern, according to a Texas Tribune review of public records. Fifty-five percent have donated at least $10,000 each to Republican Gov. Greg Abbott’s campaign. Half hold the title chief executive officer or chairman. Eighty-three percent are male. Fifty-six percent hail from Dallas, Houston, San Antonio or Austin. And while Hispanic students make up some 40 percent of enrolled first-year college students in Texas, 17 percent of regents at the six largest systems identify as Hispanic. Texas has six major public university systems, each with an oversight board of nine regents appointed by the governor and confirmed by the Senate. Regents typically serve staggered six-year terms and can be reappointed, with the longest-serving regent’s tenure topping 15 years. 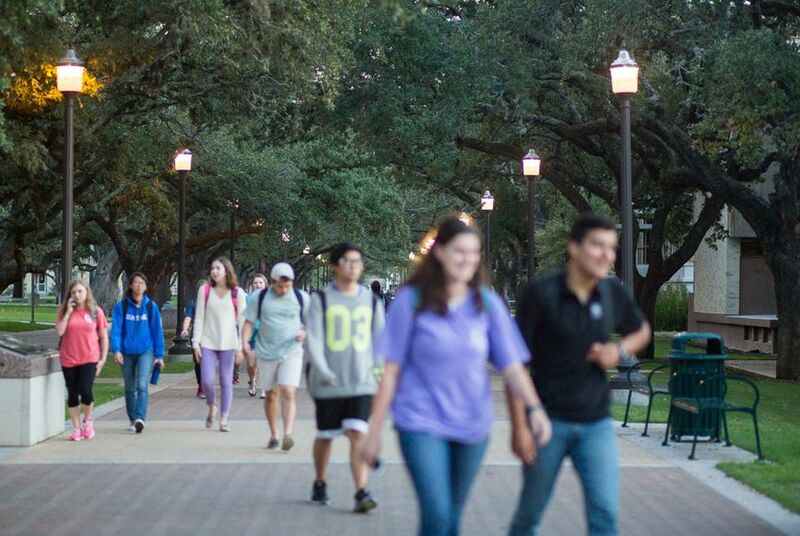 The positions are unpaid, but regents can seek reimbursement for travel — and there are “a lot of perks,” said Mark Jones, a Rice University political scientist, “particularly if you like college sports." While chancellors are often the public face of a system, regents are “the controlling authority for universities,” said Brandon Rottinghaus, a political science professor at the University of Houston. They typically are not involved in day-to-day management and are "hiring people that they trust to do that,” he said. The governor’s office said it has worked to diversify the pool of nominees; 42 percent of Abbott's appointments to the state's 11 higher education-related boards have been minorities, the office said. But there are aspects of the regent position that can shape the demographics of the boards. In addition, because the regent positions are not paid, they are not posts “someone with a 9-to-5 job could take as easily as someone who either has a more flexible job or is independently wealthy.” Still, Jones said, the propensity for financially successful individuals to be appointed can work to the benefit of the state’s higher education institutions. University system board chairs, like Fertitta, say they volunteer their time as regents out of a sense of civic duty and a desire to give back to their alma mater or to the state. Many said they believed in the importance of having a range of perspectives represented and were proud of the diversity on their own boards. "Diversity should always be a consideration," Fertitta said. "But at the end of the day, it’s about finding the most qualified person who has a passion to serve, has demonstrated success in life and will best represent the interests of an institution, and I think the governor has made appointments to the UH board with those qualifications in mind." Those who encourage increased diversity on the boards often express gratitude to all the regents who serve but say there’s value in having a broad array of viewpoints represented. Similarly, state Sen. José Menéndez, chair of the upper chamber's Hispanic caucus, said diversity on university boards benefits the entire student body, and is not about "representing one ethnic slice of students." He said first-generation college attendees or people who had experiences different "than the traditional straight-out-of-high-school, right-into-college" trajectory can "empathize with the diverse student body that we're starting to see. I think that helps everyone." "It's not that you have to be a certain nationality or ethnicity to understand," said Menéndez, D-San Antonio. Legislation passed in 2005 added a nonvoting student regent to each of the boards in the spirit of adding a student’s perspective to the process. In a similar vein, there have been efforts to curtail what critics call a “pay-to-play” appointment process they say sees plum board positions filled by political donors. Disclosure: Rice University, the University of Texas System, the Texas A&M University System, the Texas Tech University, the Texas State University System, the University of Houston System, the University of North Texas System, Texas Southern University and Stephen F. Austin State University have been financial supporters of The Texas Tribune, a nonprofit, nonpartisan news organization that is funded in part by donations from members, foundations and corporate sponsors. Financial supporters play no role in the Tribune's journalism. Find a complete list of them here.